Some say the best offense is a good defense – especially when the defense does the scoring. The No. 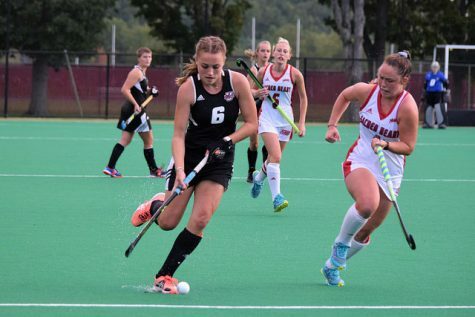 15 Massachusetts field hockey team extended its winning streak to three after shutting out No. 12 James Madison (2-2) and Albany (3-1) this past weekend. Junior Makaela Potts scored her second goal of the season off a penalty corner when forward Cher King pushed the ball into Nikki Panciocco, who fed Potts for the score at the 15-minute mark in the first half to beat JMU, 1-0. Sophomore Alesha Widdall earned the 10th shutout of her career with a three-save effort against the Dukes on Saturday. JMU pressed the Minutewomen defense hard from the opening whistle, earning three-straight penalty corners to start the game. Potts’ score was UMass’ only corner in the first half, as the Dukes controlled the ball for much of the game. 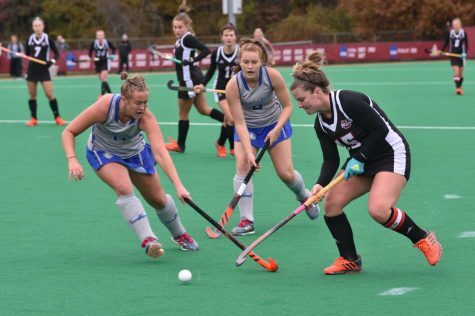 The Minutewomen were outshot 4-3 in the first half and tallied one shot in the second half. Meanwhile, JMU attacked harder after halftime firing 10 shots in the second half alone, including eight penalty corners. 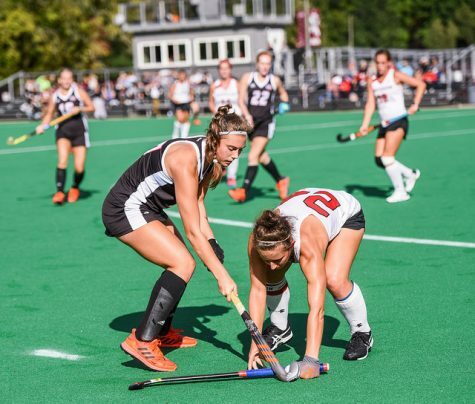 Led by back Tara King and midfielder Dolores de Rooij’s nine shots combined, the Dukes held a 14-4 shot advantage, three of which were on-goal. 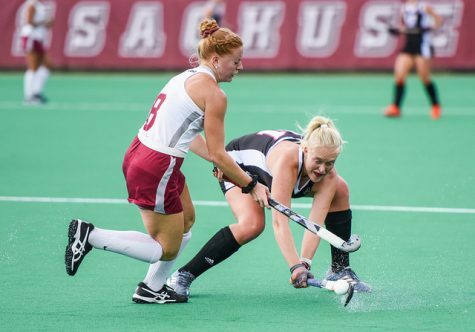 UMass coach Justine Sowry frequently used her bench to rest players throughout the busy second half and to create different matchups against the Dukes. 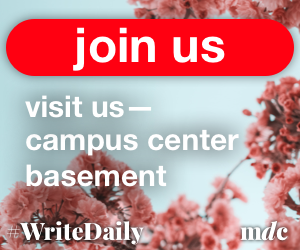 The loss gave JMU its first back-to-back losses since losing three straight in September 2006. 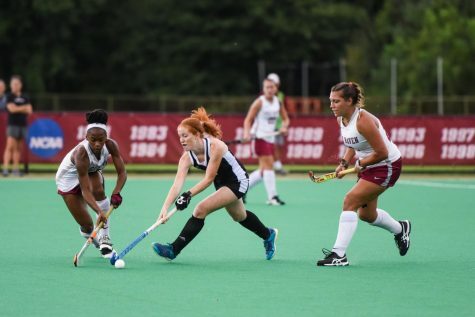 UMass’ last three-game winning streak dates back to last season when it made its way to the opening round of the NCAA tournament after winning the Atlantic 10 Conference title. 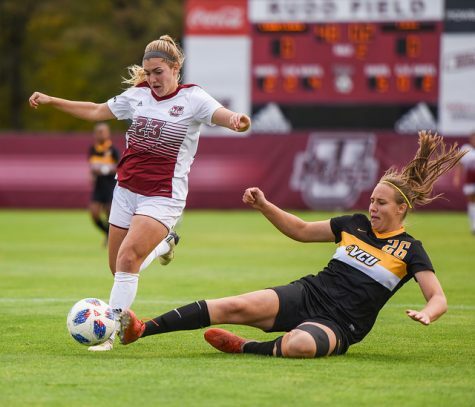 The Minutewomen were without senior offensive threat Jill Powers, who served a one-game suspension after drawing a red card against Albany on Friday. 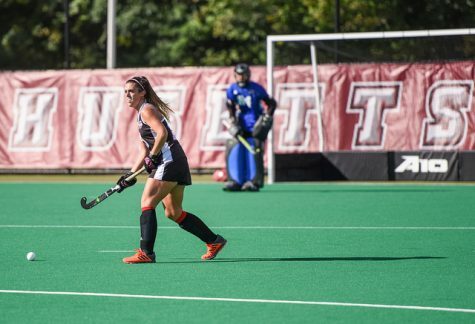 In a game in which seven total cards were drawn, UMass downed the Great Danes, 1-0, on forward Katie Kelly’s second goal of the season. The goal came off a penalty corner which Kelly drew by pushing into the Albany striking circle late in the second half. Potts took the initial shot and Kelly’s shot went past Great Dane goalkeeper Kristi Troch just inside the right post. Kelly received two warnings from officials for physical play and Potts drew a yellow card midway through the second half. Widdall made five saves on 18 Albany shots. The Great Danes earned an astonishing 23 penalty corners, including 13 in the second half. 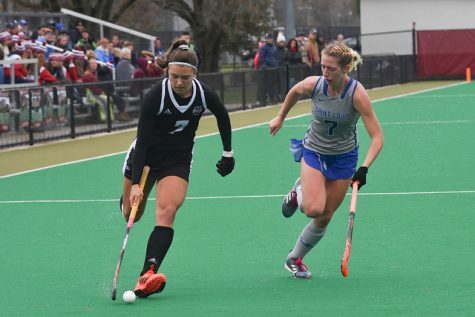 Albany used a similar strategy against UMass as the Minutewomen used against JMU, using many different players throughout the course of the game. The Great Danes used nearly all of their 19-player roster, with the exception of midfielder Erin Crosson. 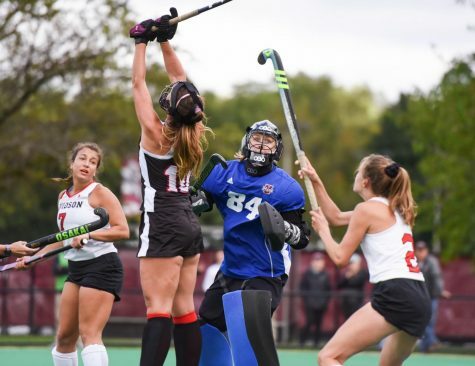 Albany used a two-goalie system against UMass, starting junior Christine Hoffman and sitting her in favor of freshman Troch in the second half. This is normal for Albany, as Hoffman has started all four games for the Great Danes, while Troch has played an equal 140 minutes. The combination gave Albany three shutouts until the loss. 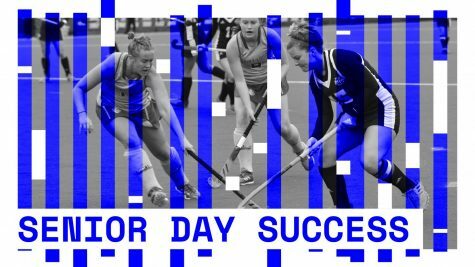 The Minutewomen return home next weekend for games against in-state rivals No. 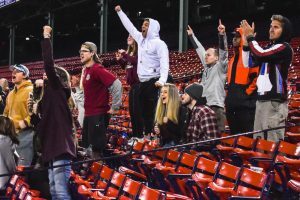 10 Boston College (5-0) and Northeastern (2-3).